▷ MyGuide 3300 ( Software MyGuide 6.1 ) update. Speedcam for your maps. Download update. Free custom download. In order to update your GPS device: MyGuide 3300 ( Software MyGuide 6.1 ) with the latest update, follow next instructions. First of all, be sure you got the update file for your MyGuide 3300 ( Software MyGuide 6.1 ) device, downloaded from SpeedcamUpdates.com. 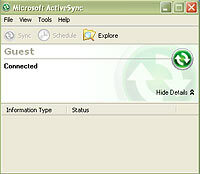 Connect your MyGuide 3300 ( Software MyGuide 6.1 ) device to the PC over the USB cable and select Guest partnership connection via Microsoft ActiveSync. Copy the extracted file speedcams.txt to your MyGuide in the folder "My Flash Disk/MyGuide/POI/speedcam". 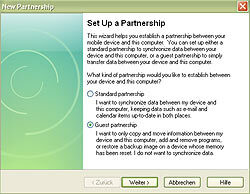 Disconnect your MyGuide 3300 ( Software MyGuide 6.1 ) device from your PC and start the navigation system. Go to the menu Settings/General/Speed Warning Options/Enable Safety Cameras and then activate the alerts.